men, women and children speak volumes about the popularity of dice. persistence to locate clothes with dice on them, so I hope this page helps you. 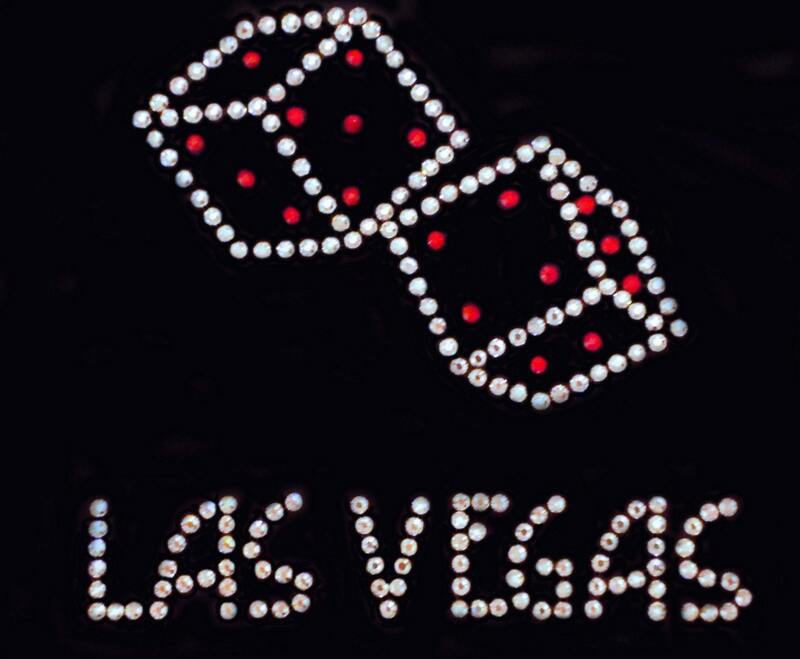 a site, try searching with terms like "gamble" or "poker" or "risk" to find dice clothes. Lucky 7 Dice to see a lot of clothing with dice. casual dice pants in addition to the clothing items seen below. This next t-shirt sure defies conventional style. It is a blend of styles, if you will: Camouflage meets dice meets the tropics. Or, simply put, it is a Hawaiian Camouflage Dice Shirt. T-shirts and humor go hand in hand. This holds true with dice clothes too. Fans of role playing games will enjoy " The Dice Are Trying to Kill Me " tee shirt. If you're a fan of rhinestones or sequins, this next shirt is for you. T shirts are sure a popular type of dice clothes, but hats provide an excellent canvas to display dice too. In particular, baseball style caps can be stitched or patched with dice. 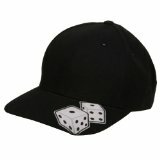 Below is a dice hat with a simple, stylish dice graphic stitched on it. The above hat is also available as a white hat with black dice..
there's a second option on the All-About-Dice flaming dice page. add style and personality to an ordinary suit. There are several quality silk dice ties, in various colors, to compliment your suit and dress shirt. The red dice tie and the black tie seen above also come in different colors. Find your ideal dice tie color to match your suit and shirt at Ties.com. Pick up a pair of dice tie tack to keep your tie in its rightful place. A flapping tie in your face on the dance floor or dipping into your food while you eat can be frustrating. their parents want to educate them on the "coolness" of dice at a young age. Keep your cutie warm with a baby hoodie and a baby dice raglan tee. The baby dice sweatshirt should also keep your kiddo warm. There's also a baby dice tank top shirt and a baby dice OneZ to dress up on your little one. Older kids can wear striped socks with dice. 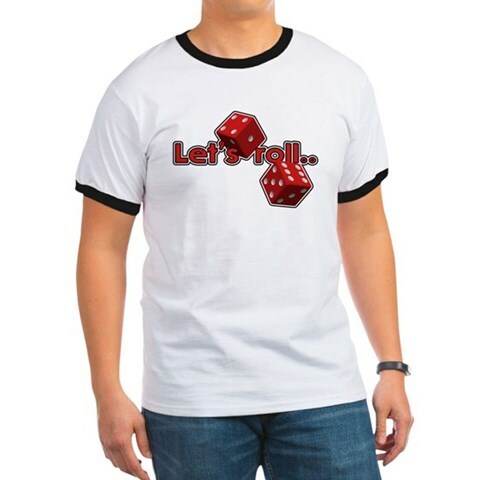 T-shirts with dice make for fun, creative clothes. There's a red dice T-shirt for kids and a blue one, seen below. Belts and buckles do more than just keep your pants from falling down. They add style. Dice belts and dice belt buckles add LOTS of style. The snake eyes belt buckle has actual dice for the eyes. And yes, the dice are removable should you need a pair for a game! Get a belt with your buckle when you buy the Social Distortion belt with dice on it. If you need a buckle with bling, then check out this Iced Out gold dice belt buckle. And, of course, if you're looking for something below the belt, dice boxer shorts are the answer!